Sinclair Broadcast Group has been a leader in television since it became one of the first stations on UHF back in 1971. 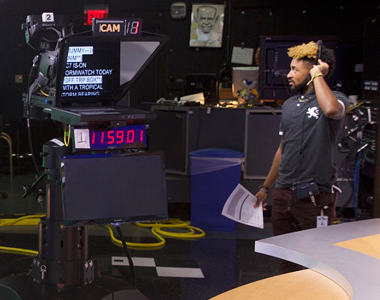 Today, Sinclair is the leading news provider in the country, so if you are a television producer, you will want to consider the many television producer jobs with Sinclair Broadcast Group. We believe in taking risks. If you are ready to produce exciting news content that makes an impact; if you are ready to roll up your sleeves and advance the world of broadcasting, then we want you working for Sinclair Broadcast Group. Join our Talent Network and apply for a job as a Sinclair producer today!